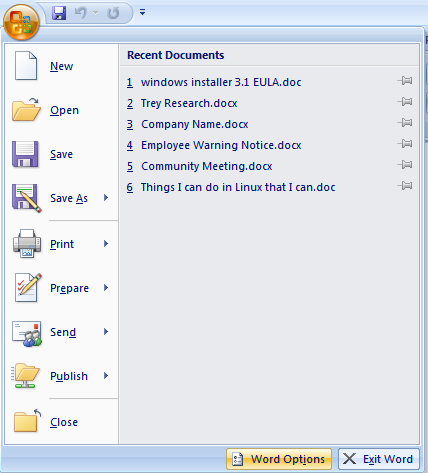 The Microsoft Office 2007 color scheme certainly fits in Windows Vista, but fortunately for those of us unhappy with so much light blue, the color scheme can be changed. This tip works the same whether you are using Access, Word, Excel, or PowerPoint – if you change the color in one, it changes the color in all Microsoft Office applications. Since the steps are the same we will use Word as the example. 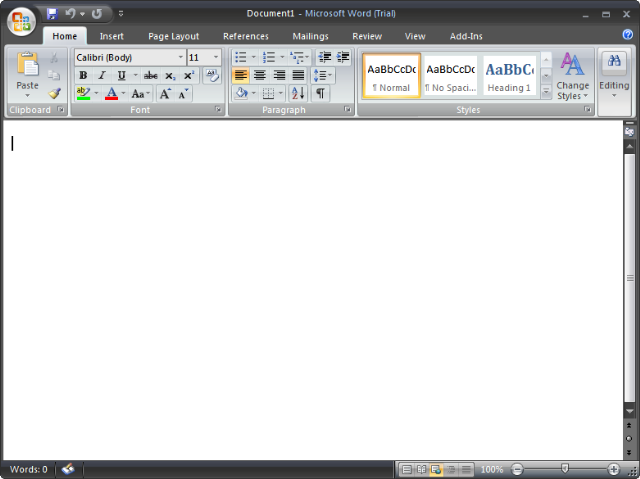 Click on the Microsoft Office Button then click on Word Options. Click on Popular and and then use the “Color Scheme” drop down arrow to choose between Blue, Silver or Black then click OK.
For this I chose Black, you can choose whichever color you prefer (silver looks pretty good). 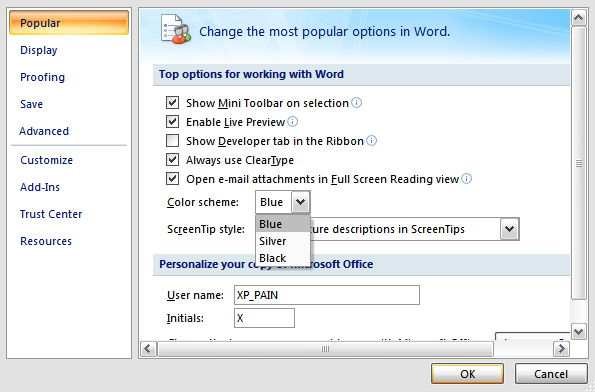 Now if you open Access, Word, Excel, or PowerPoint the color will be changed also. But what about Outlook? Keep reading! 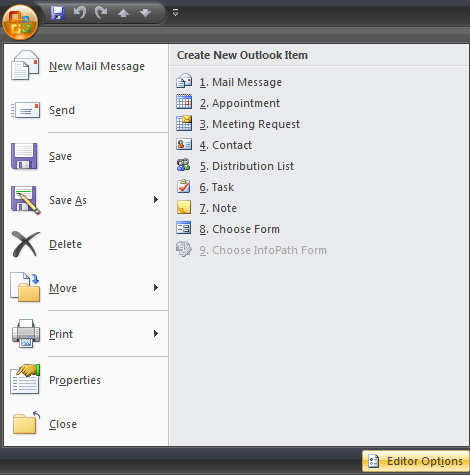 Oddly enough, you have to open a new email in Outlook 2007 in order to see the Microsoft Office button. Once you are there, then you can click on “Editor Options”, and then follow the same steps as above.